Denmark is truly a loving country that has it all to attract and entice immigrants. Known as the happiest place to reside and work, immigration to Denmark is one such thing that can let you explore things and make most of the lifetime. With the stable government and quality living lifestyle, Denmark is one of the affluent economies that offer better opportunities and quality living standards for people aspiring to live abroad. Most people choose to reside abroad to take advantage of its wealthy and prosperous economy. 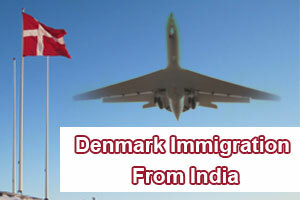 People who wish to immigrate to Denmark from India must choose Denmark Greencard scheme. Danish Greencard scheme is the most preferable option for individuals who want to immigrate to Denmark. Denmark Greencard scheme is a residence permit that allows individuals to enter the country. Danish Greencard is the most popular option for immigrants and is opted by most people especially Indians wishing to immigrate to Denmark. Aspirants who wish to move to Denmark must have an official address within six months of obtaining their residence permit. Additionally, you must have earned at least DKK 50,000 in Denmark in the first year of being granted a residence permit. And, please note that you are not able to bring any family members to Denmark until and unless you have been settled at an authorised address in the country and must receive a salary. Denmark Immigration Points Calculator is point base system, and people who are applying under theDenmark Greencard scheme will be evaluated under various factors. Individuals need to score 100 points under Denmark Immigration Points Calculator against various factors such as academics, language criteria and adaptability. People who wish to immigrate to Denmark under Greencard scheme must hold a health insurance covering their family members. The Danish Agency for Labour Market and Recruitment will check the Danish income register to see whether they meet the requirement. Denmark Greencard is issued for maximum two years, and they can apply for extending it to another three years before the above stated period.